"The phantom ship." 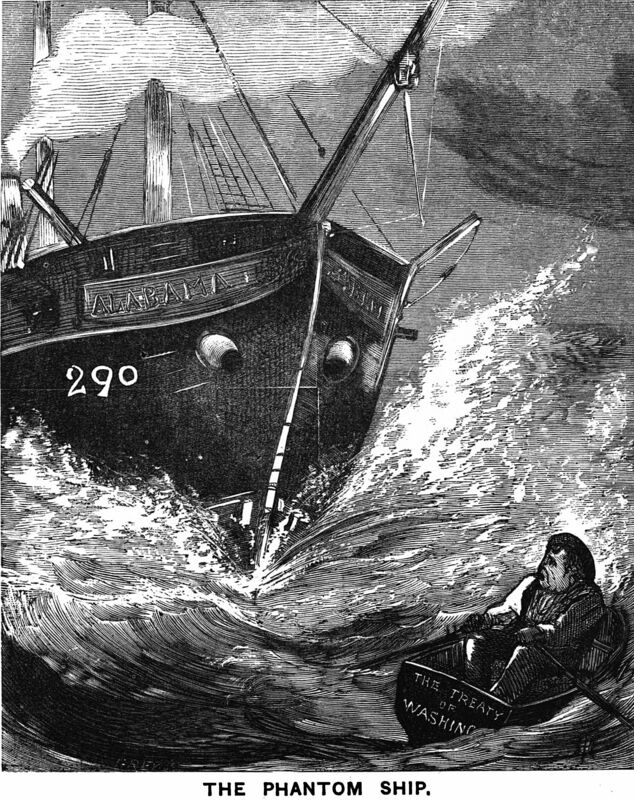 From Legends and Superstitions of the Sea and of Sailors, 1885. "Hung high in the air, as if sailing over the clouds." 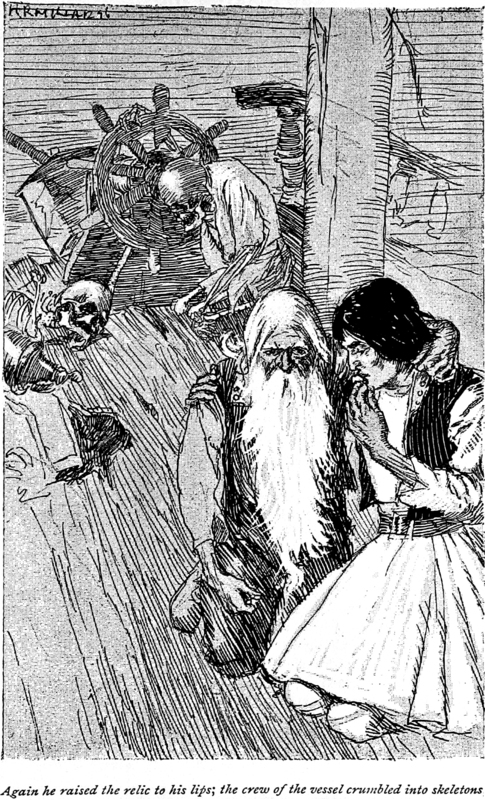 From Torn From Its Foundations by David Ker and illustrated by A. Pearse, 1902. 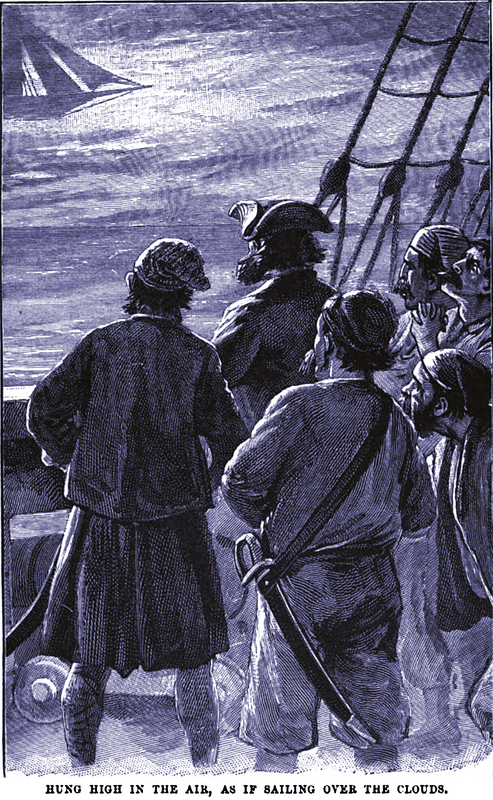 "Again he raised the relic to his lips; the crew of the vessel crumbled into skeletons." 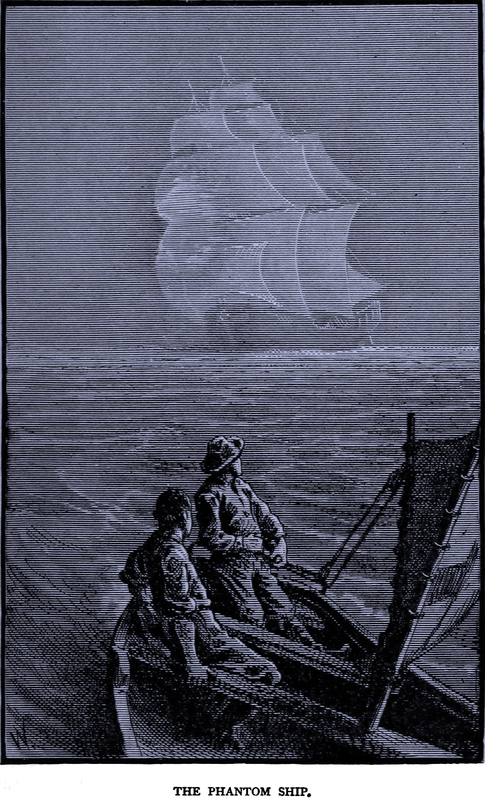 From The Phantom Ship by Frederick Marryat and illustrated by H. R. Millar, 1896.